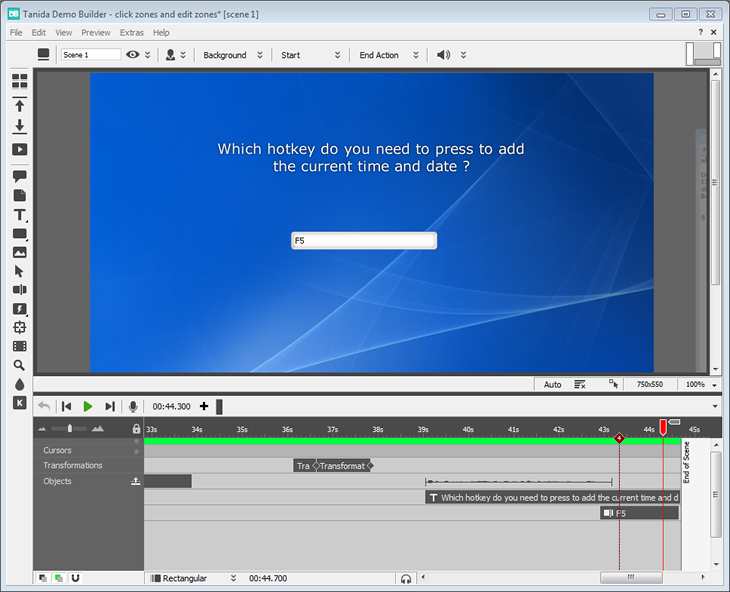 Demo Builder is ideal for creating professional and fully interactive presentations and tutorials, with an amazing range of tools and animations the sky is the limit! 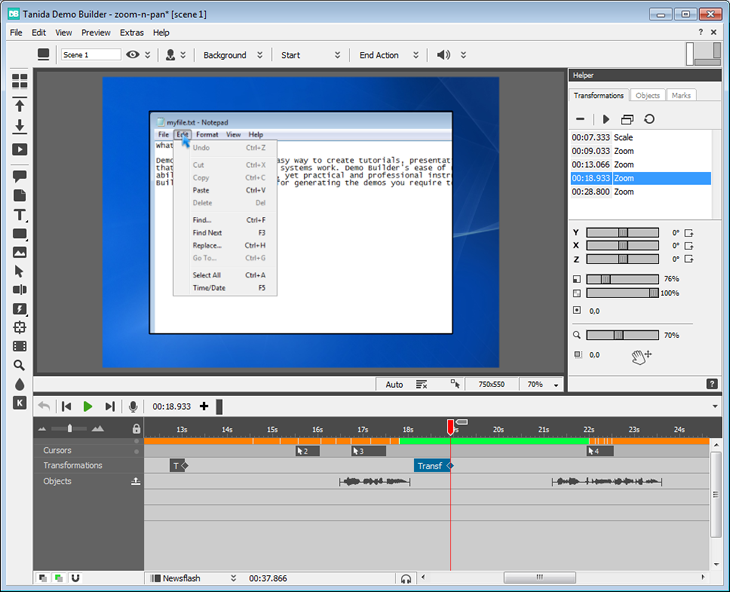 Record high quality videos easily with Demo Builder's advanced screen recorder; use it to capture an active window, a chosen area or your entire screen with just a click of a button. 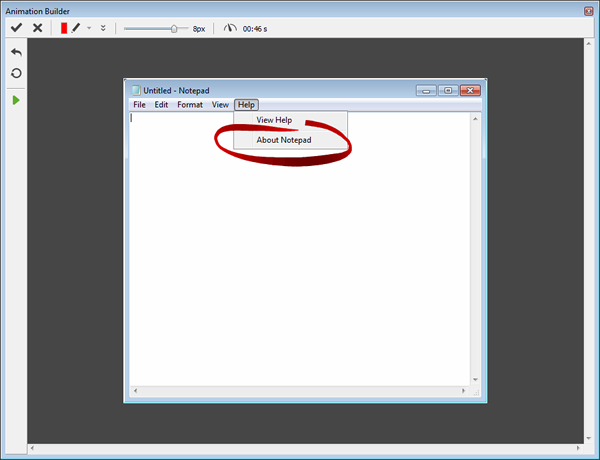 If you already have the materials for your movie you can assemble them in Demo Builder and create movies by importing a series of images or by using existing video files. 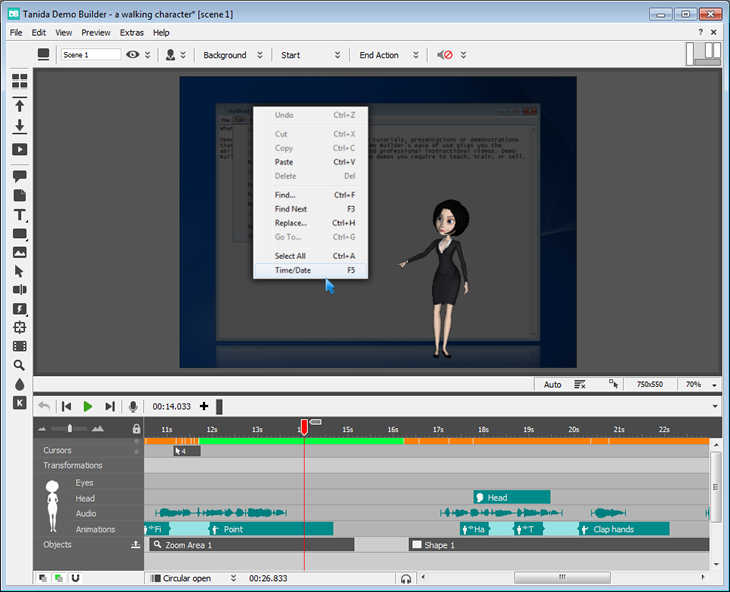 Use Demo Builder's new Character feature to grab your viewers' attention and with the added Auto-Animate function you can even reduce your working time on a Character to zero. Direct your Character to walk, talk, greet and give explanations during your movie and make it really come to life with intricate eye and head movements. Combine the flexibility of holding a camera with digital movie creation; with this feature you can angle the movie on the X, Y and Z axis as though you were shooting it from different angles. 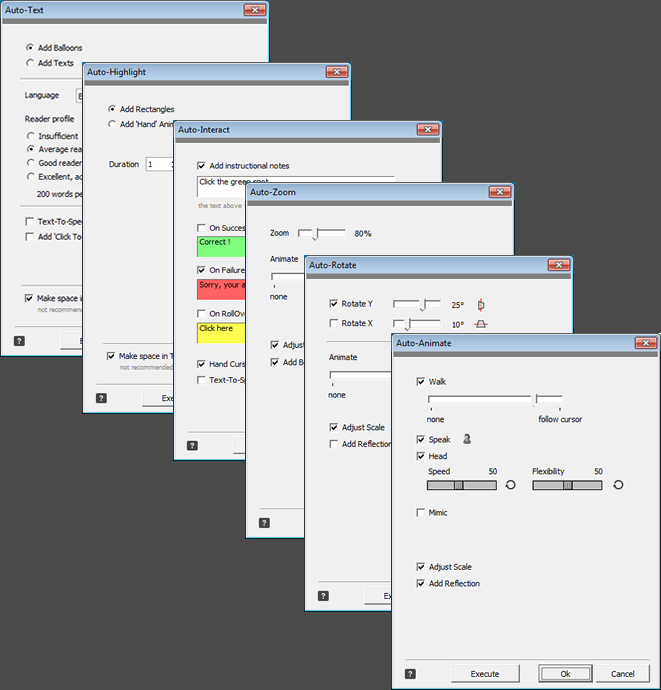 By using Zoom-n-Pan you can zoom in to specific areas to focus the viewer's attention and show specific details. 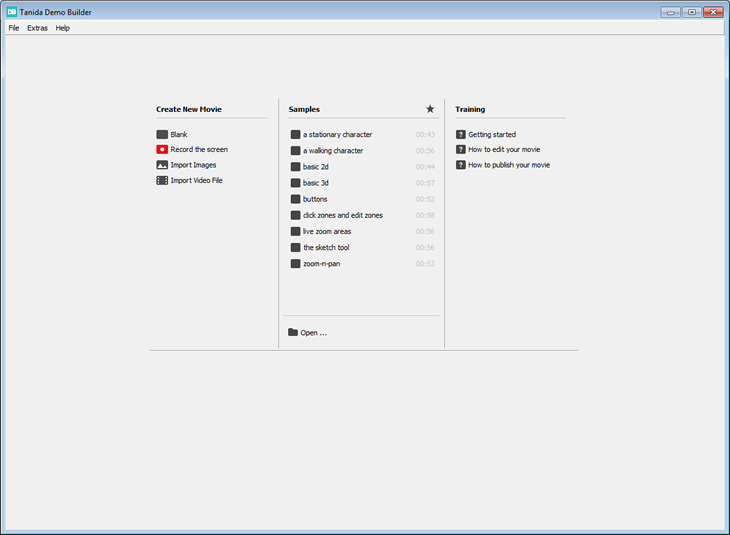 The timeline is a great feature for keeping track of your movie, change the sequences and timing of scenes and objects, decide when they appear on screen and how long they stay. 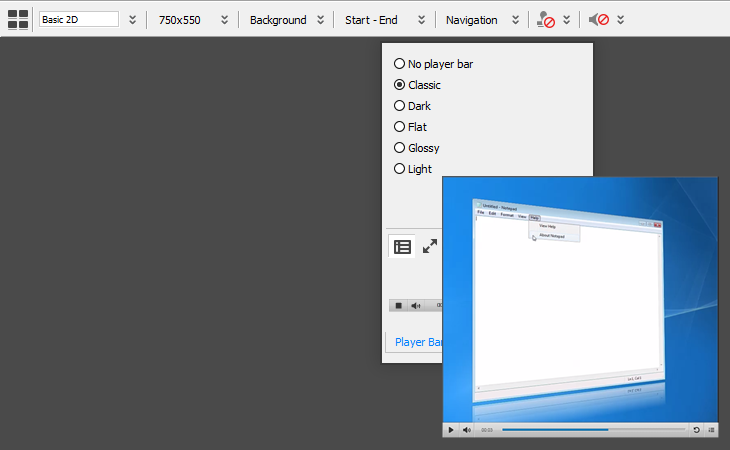 Allow your viewer to control basic playback options such as Play, Pause, Stop, Rewind and Fast Forward. 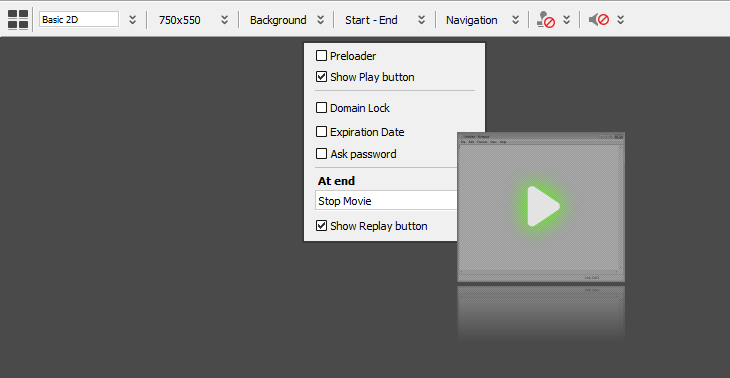 Choose the way your movie loads and what actions should be taken when it ends. 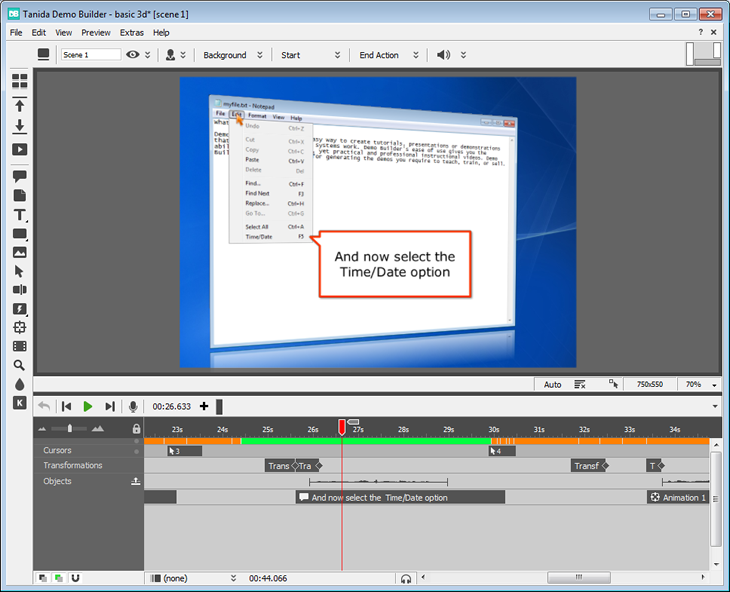 For those in a hurry, the Auto functions will annotate and even animate a Character for you based on what computer actions you performed during a screen recording. 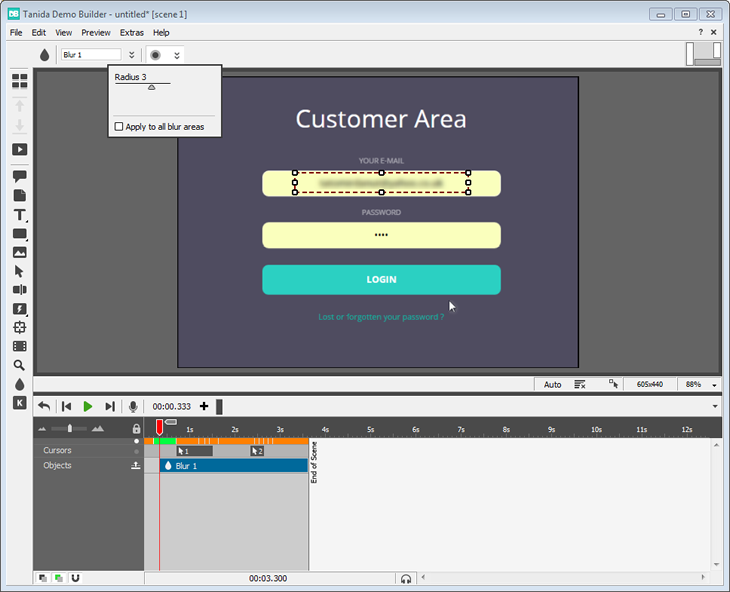 During a demo you can clearly demonstrate the actions, entries and clicks your viewer needs to follow by either using auto-capture or adding Cursor motion objects to your scenes. Use these great objects to further explain your demo and guide your viewer through the actions they need to perform. 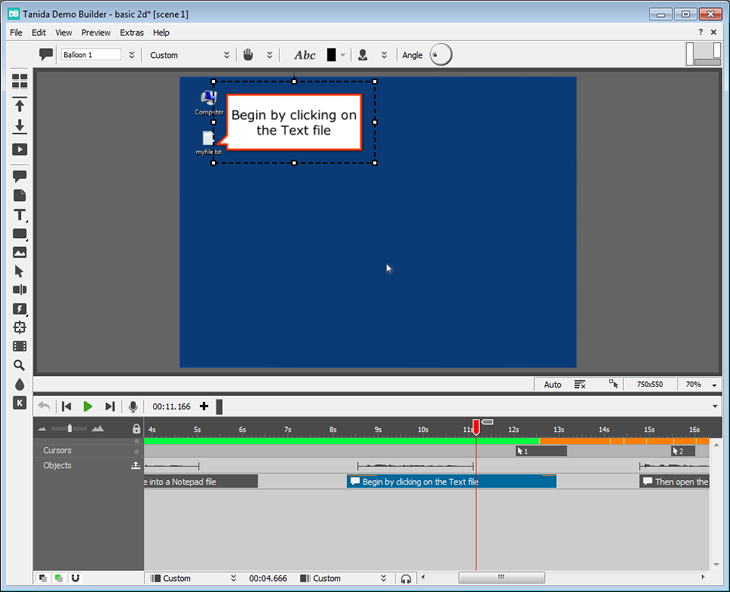 The best way to focus a viewer's attention is to use a brightly coloured, moving signal directed at an important area. 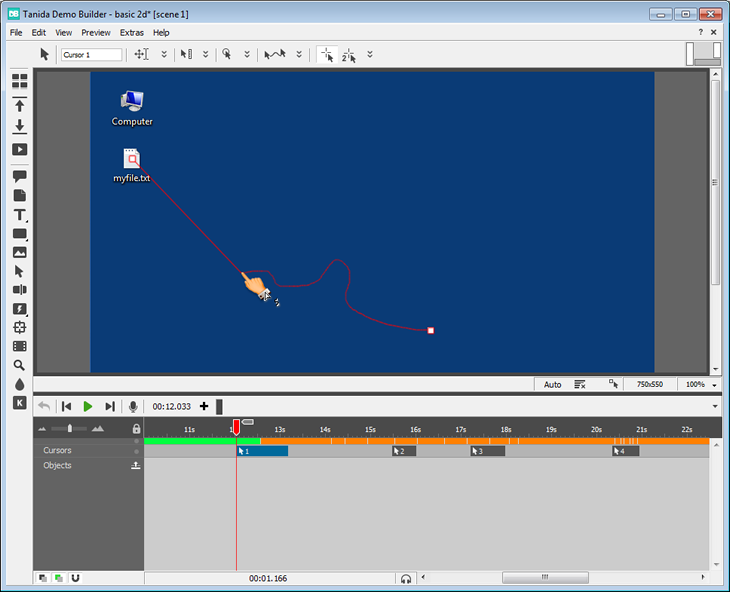 This Zoom Area plays what is happening in the background in real time instead of just displaying a static image. 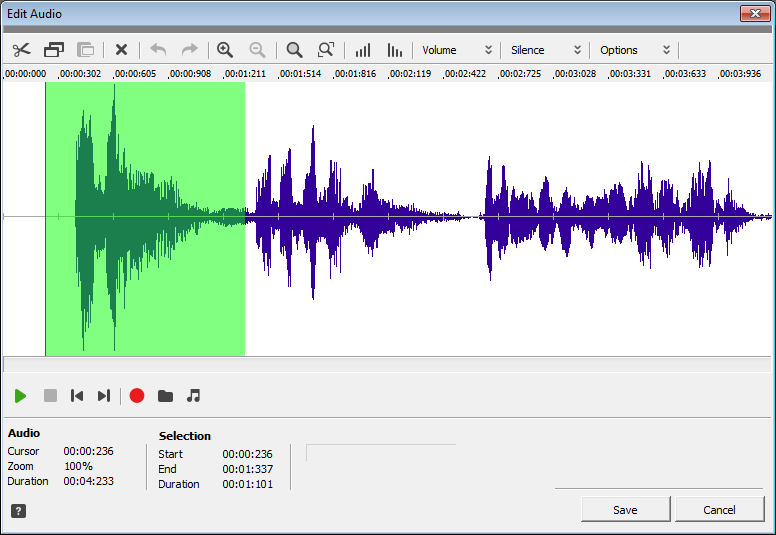 Block out personal or confidential information that was captured during recording (e.g. email addresses, names, etc.). The viewers' actions and responses dictate what happens next in the demo (e.g. continue, pause, skip to another scene, etc.). 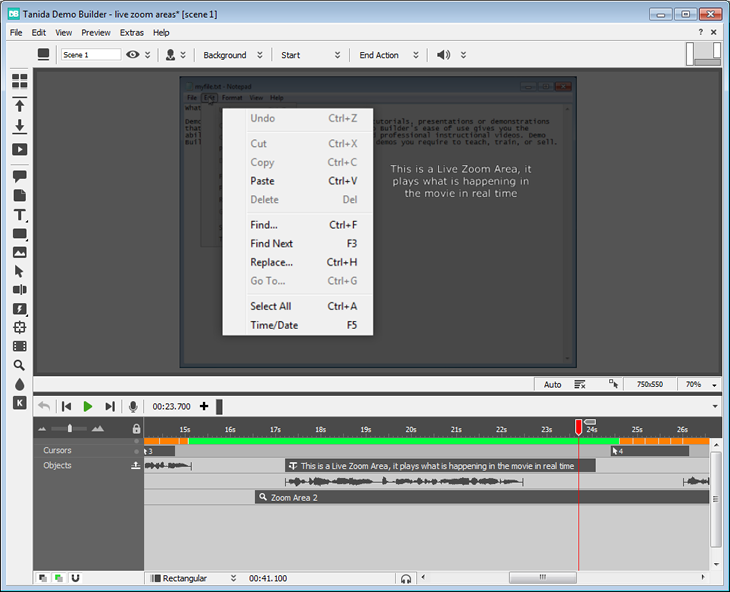 Based on what the viewer enters in the Edit Zone, you can decide what happens next. 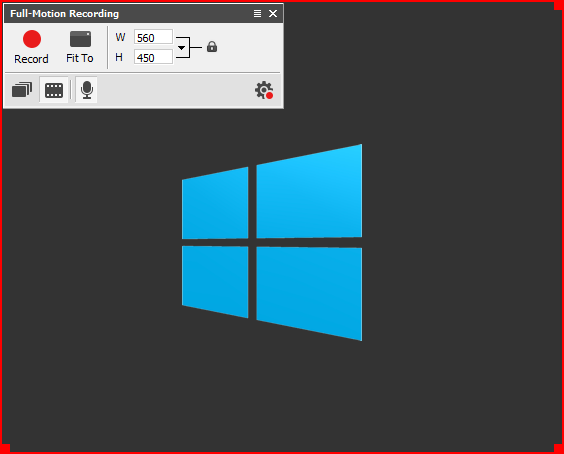 Use your computer microphone to add an audio narration while recording your screen. 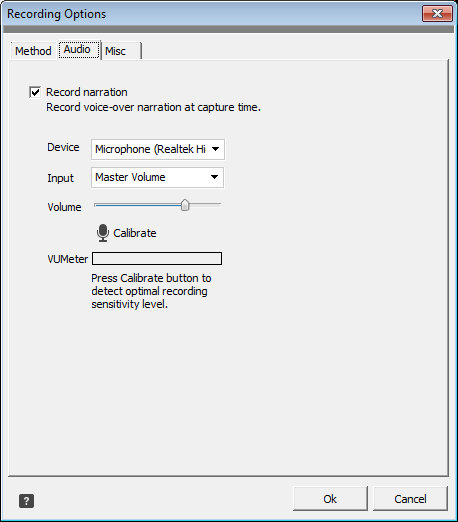 While editing your movie use this option to record a narration for your movie during playback. 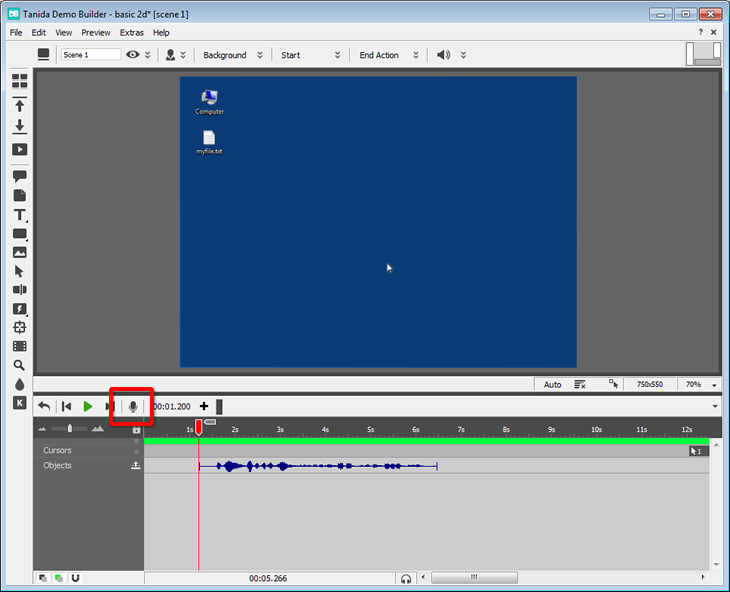 Adjust the volume, insert silences, edit out mistakes and add external audio files to a presentation with the Built-in Audio Editor. 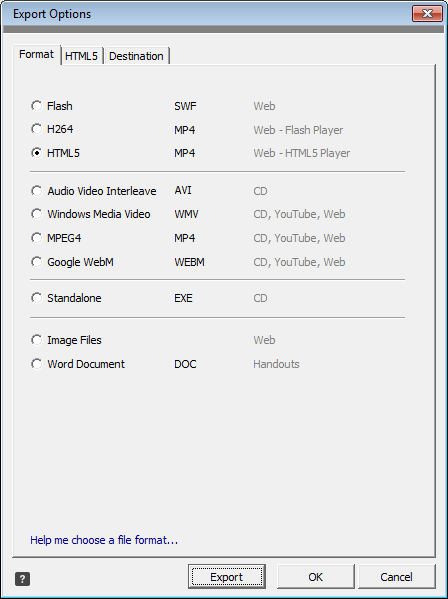 For the best possible compatibility you can export your movie in H264, Flash or even as a sequence of images. 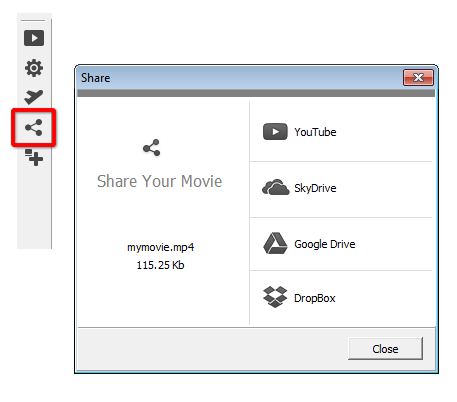 Upload your movie to a web server or share it on Youtube or Cloud.